Seven months after the power ministry announced that charging stations for electric vehicles (EVs) won't require licences under the provision of the Electricity Act 2003, the government is looking to give a further boost to e-vehicles by opening up the playing field to individuals. 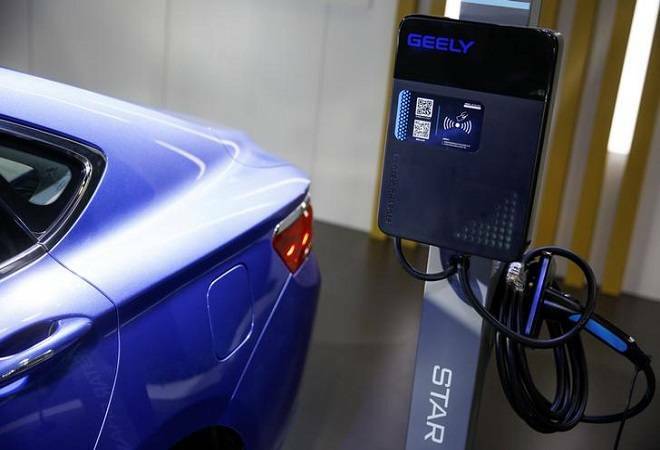 "Setting up public charging stations shall be de-licensed and any individual is free [to set them up], provided the stations meet the standards of the power ministry," a senior government official told The Economic Times. Although the government has not set any qualification criteria for opening public charging stations, the latter will be monitored and have to meet specifications and performance criteria set by the ministry. "The person should apply for connectivity and the distribution company is bound to provide connectivity. Obtaining electricity from open access is also permissible," the official said, adding that the state electricity regulatory commissions (SERCs) will fix tariffs for electricity supply from distribution companies to the charging stations at a ceiling of 15% over the average cost of supply. The tariff charged by charging stations from EV owners will reportedly also be capped by the state government. "Service charges of 30-40% over and above notified electricity tariff for electric vehicles charging appear to be a viable business proposition for public charging stations," Alekhya Datta, a fellow and area convener of electricity and fuels division at The Energy & Research Institute, told the daily. This development comes even as corporates are showing an interest in setting up EV charging infrastructure in the country. The list not only includes automakers such as Mahindra & Mahindra and Tata Motors but also cab-hailing giants Ola and Uber along with several state-run companies. Meanwhile, the Centre is preparing a fresh policy for promoting EVs that will first look at creating favourable ecosystems in nine cities including Delhi, Pune, Mumbai, Bengaluru and Ahmedabad. According to the source, the government will start pilot projects in these cities through central public sector undertakings (CPSUs) like such as NTPC, Power Grid Corp and Indian Oil Corp, and wants to have public charging stations at every three kilometres. The government has also identified 11 busy highways to set up charging stations at every 25 km. "The pilot rollout by CPSUs with some subsidy under Faster Adoption Faster Adoption and Manufacturing of (Hybrid &) Electric Vehicles in (Fame India-II) scheme will help in boosting the demand for electric vehicles," the official explained, adding that the idea is to also target generation of employment opportunities for small entrepreneurs. Praveer Sinha, chairman and managing director of Tata Power Delhi Distribution Ltd, told the daily last month that the company plans to partner DMRC and Municipal Corporation of Delhi to set up charging stations at metro stations and other possible locations. According to him, a fast-charging station requires an investment of about Rs 25 lakh but a slow charging outlet would cost about Rs 1 lakh. "When EV sales pick up in about five years, an area of 3 km could require about 300 charging stations with about 4-5 charging slots," he had added. Experts suggest charging stations could prove a very viable business opportunity for individuals.